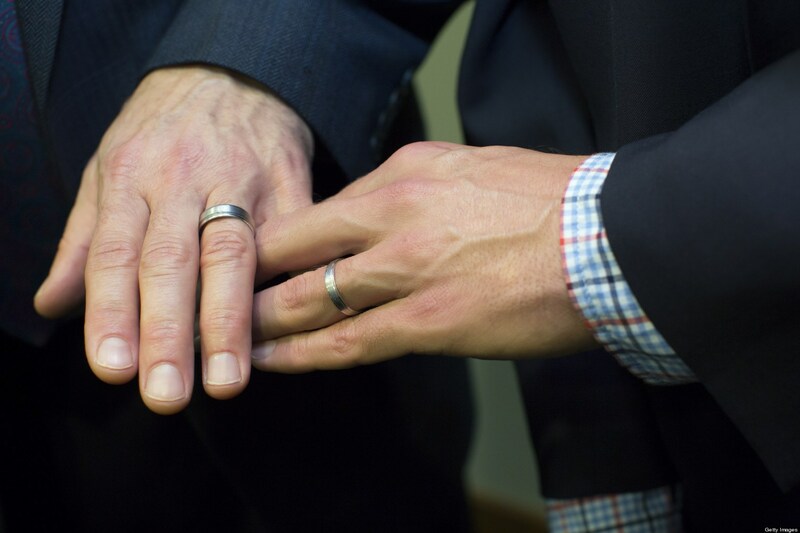 My life as a gay Catholic man, father, husband and Domer started many years ago being brought up in a traditional middle-class Irish Catholic family in the suburbs of Boston. Both my parents were school teachers who strongly valued hard work ethic, advanced education and bringing their children up in the Catholic religion. My life’s path was to study hard, get into a good college, get married and have children. This was not thrust upon me, just assumed. Does this sound familiar? While attending Notre Dame back in the mid ’70s, I thoroughly enjoyed attending Mass in the basement of Alumni Hall with my dorm mates. Mass at ND was a true community event that provided time for reflection and a break from the hectic study and social schedule. I truly feel I was spoiled by that experience. After graduating, I followed the expected path: obtained an MBA, got married, had a child and settled into a “normal” life of working hard and advancing up the corporate ladder. After about eight years of marriage, I began to suspect that something wasn’t right. After much soul searching, I realized I had to be truthful to myself and my family. 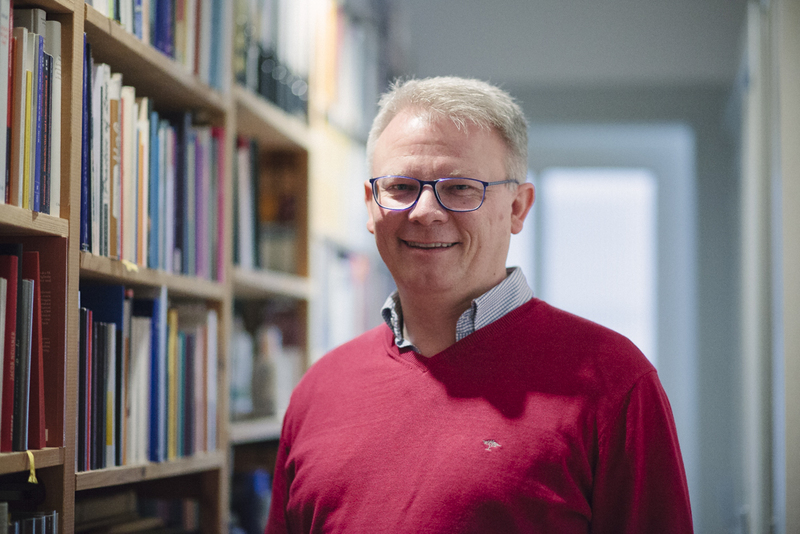 Continuing with my free translation of gay theologian Monsignor Charamsa’s interview in Religion Digital. Will you remain a priest, will you ask for secularization or will they impose a penalty? I am and I remain a priest. I’m a better priest than I was before today. Conversely, it is I who will ask Church to open eyes. Do you plan to write a book about his experiences in the Vatican? Yes, I believe it my duty to further explain my experience in the Church, and do it for the good of the Church itself, which must become and apologize for their institutional scandals, for its delays, its irrational paranoia of homophobia. Anyone who sees and experiences it has a duty to awaken the Church, which has already exceeded all tolerable limit. If the pope asked you personally, would you leave your partner and return to the Vatican? No, I would not leave my partner because I love him and because there is no doctrinal reason to. For a priest having a partner, whether male or female, is not against the faith, it is not against the doctrine of our faith. Conversely, it is the Church and the Pope who should start thinking seriously about the inhuman discipline of mandatory celibacy and the Church’s obsession with homosexuality and human sexuality in general. Go back to the Vatican? No, never. I would be a masochist, a person who seeks suffering and offennds against their own identity. I’m not a masochist. The Vatican is one of the least holy places I’ve ever met in my life. I want to live happy, I want to be holy, what it means to be happy and live in the light of God and the dignity of man. In the Vatican most people are not happy. It is a place that needs a spiritual and mental conversion. It needs the air of God. air that is lacking there. The name is strange. It startles one at first. It is so bold, so new, so fearless. It does not attract, rather the reverse. But when one reads the poem this strangeness disappears. The meaning is understood. As the hound follows the hare, never ceasing in its running, ever drawing nearer in the chase, with unhurrying and imperturbed pace, so does God follow the fleeing soul by His Divine grace. And though in sin or in human love, away from God it seeks to hide itself, Divine grace follows after, unwearyingly follows ever after, till the soul feels its pressure forcing it to turn to Him alone in that never ending pursuit. Joseph Gentilini, whom I referred to earlier this week for his long ministry of writing to the American bishops about matters of gay inclusion in church, has used the image in the title of a forthcoming autobiography, “Hounded by God”. This image is entirely appropriate, as a description of how for years he felt tormented by a perceived conflict between what he knew to be his natural affectional and sexual orientation, and the formal, proclaimed sexual doctrines of the church – conflict which led nightly, to thoughts of suicide. Many Catholic gay men and lesbians will have no difficulty recognising this experience, as one that they too have endured. In “Hounded by God”, the author writes about his struggle to integrate his homosexuality with his personality and his Catholic-Christian spirituality. He grew up in the late ’50s, ’60s, and ’70s when homosexuality was considered either a mental illness or a major sin. In 1968, he had his first homosexual experience. Feeling shame and trying to repress his feelings, he spent over six years in therapy. Raised a strict Roman Catholic, Joseph confessed his many “sins” to a priest and attended Mass daily. He felt hopeless in accepting his homosexuality and living happily as a gay man, repeating nightly, “If it gets too bad, I can always kill myself.” By 1974, he knew that therapy was not changing his sexual orientation and felt desperate. Some older Catholics, but perhaps rather fewer younger people will also recognize the resolution of the conflict – that while the institutional church may appear to reject us, that is never true of God, who like a hound will follow us relentlessly, as God did in pursuit of Joseph, until we are able to recognize and accept God’s unconditional love for us all – no exceptions. Joseph experienced God as hounding him to accept his gay identity and to believe that God loves him as he is. His autobiographical journal reveals his gradual awakening to live his vocation, not only as a gay man in relationship with his partner and with God, but also as someone willing to share his journey with those who struggle with their homosexuality and their faith. The two passages quoted above are from a summary of the book that I received yesterday by email, together with two reviews, in advance of publication later this year. These gay Catholic biographies are important. 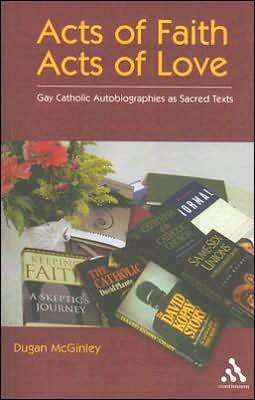 Dugan McGinley has written an entire critical analysis of the genre “Acts of Faith, Acts of Love”, which he has sub-titled “Gay Catholic Autobiographies as Sacred Texts”. To call them “sacred” texts may appear to many to be a step too far, but I think the description is entirely appropriate. These stories, if they are honest and sufficiently reflective on the writer’s life of struggle and resolution, can help us all in a similar predicament to find illumination and support in our own search for reconciliation, with God and the Church. This could be particularly true of this book. Whether we know it yet or not, it will certainly be true that whatever our response to the Church, whatever our perceptions of its doctrines or pastoral practice, whatever our decision or strategies in our lives so far, to deal with and attempt to reconcile the conflicts that we, like Joseph, probably felt or perhaps still feel about our sexuality and our faith – God is constantly chasing us down, hound – like. St. Augustine put it beautifully into words: “You made us for yourself, Oh Lord, and our- hearts will never rest until they rest in you.” Most of us go through life covering over that yearning at the heart of every human, distracting ourselves with the desires of this world. Not so Joseph Gentilini. God gave Joseph an extraordinary awareness of that call to union with God. 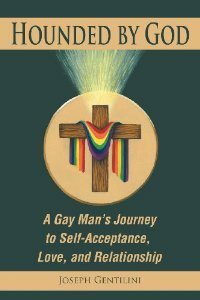 In his autobiographical journal, Joe spells out his painful journey as an active gay man, from revolt against that voice of God to final acceptance with God’s grace of his gay identity given to him by God—a remarkable journey which brings hope to all of us that God’s call to union is to the authentic self. God dwells within us, and the only way to union with that God is through the authentic self. Anyone who has had their sexuality shamed by their religious tradition should relate to Joe’s story of staying connected to his Catholicism while rejecting the teaching of Catholic Bishops on homosexuality and replacing it with a truly authentic spiritual connection with his Creator. He give the reader access to his most intimate thoughts, fears, and experiences—all of which provide the fuel for a seminal work in LGBT spirituality. In Hounded by God, the author writes about his struggle to integrate his homosexuality with his personality and his Catholic-Christian spirituality. He grew up in the late ’50s, ’60s, and ’70s when homosexuality was considered either a mental illness or a major sin. In 1968, he had his first homosexual experience. Feeling shame and trying to repress his feelings, he spent over six years in therapy. 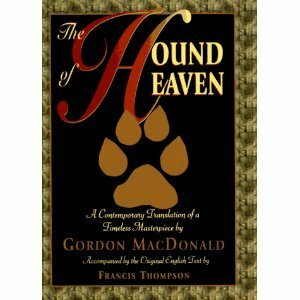 Some older Catholic, but perhaps rather fewer younger people will also recognize the resolution of the conflict – that while the institutional church may appear to reject us, that is never true of God, who like a hound will follow us relentlessly, as God did in pursuit of Joseph, until we are able to recognize and accept God’s unconditional love for us all – no exceptions. Hello all. This is Robynn, Terence’s daughter, responding to his invitation to comment for myself on the terrible, terrible hardship I suffered growing up with a gay father. Wait, that’s not quite right…I feel a little out of place writing here, as I am not Catholic; indeed, not a believer at all. Normally I am happy to stick to what I know and keep my opinions on Church policies to myself, but then, the Church doesn’t seem to follow the same principle, insisting as it does on telling us all that gay couples make terrible parents. Not only do the bishops not have any special knowledge on the subject, they seem to be denying what evidence and experience is in fact out there. And they’re certainly not keeping their prejudices opinions to themselves.